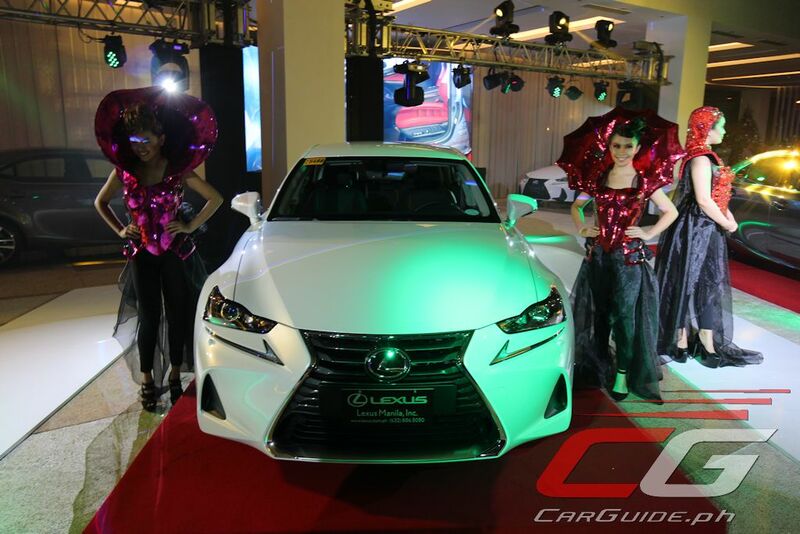 The Lexus IS has been a game-changer in all sorts of ways for Lexus Manila. 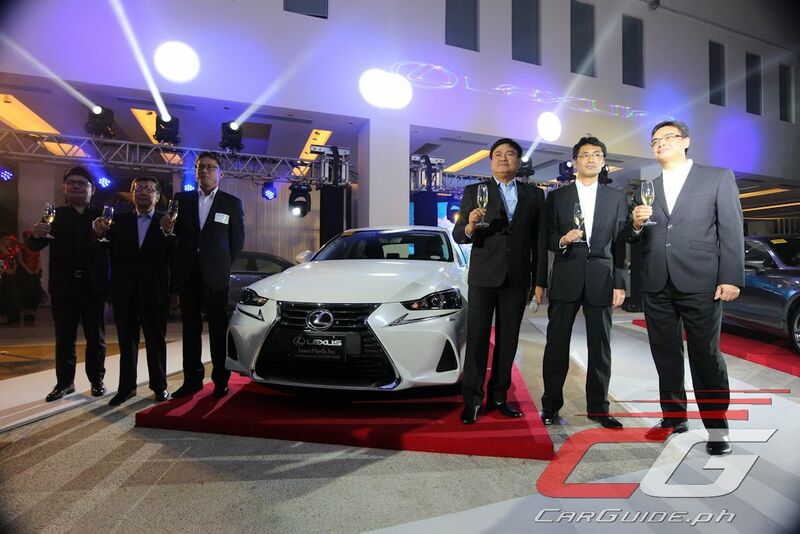 Responsible for the brand’s continuously robust growth, the third-generation IS has found its way to 442 garages in the Philippines since its market introduction in 2013. 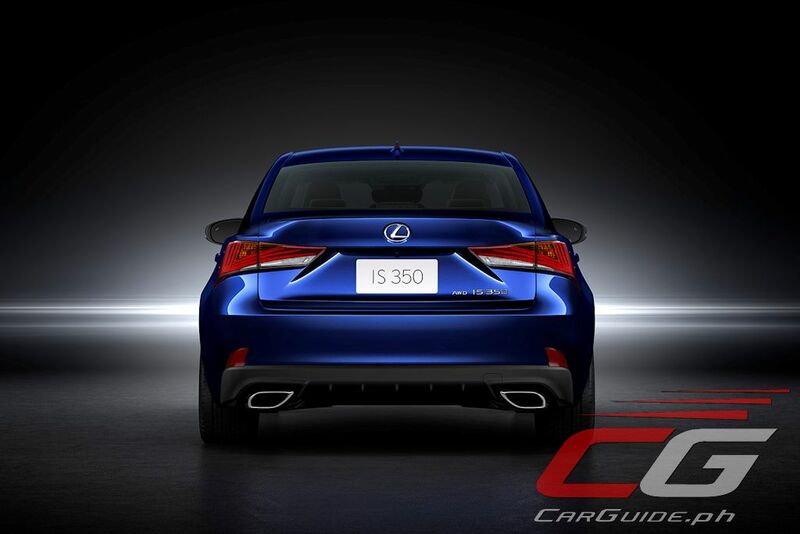 This year, the “Intelligent Sport” sedan sees a round of enhancements, both aesthetically and mechanically, to keep its segment leader status in power, prestige, and of course, in the Lexus mindset, perfection. 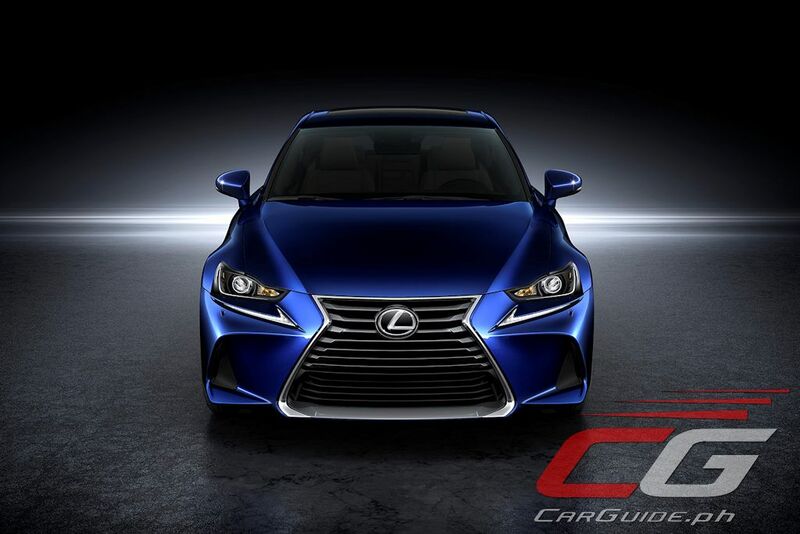 The 2017 Lexus IS sees a new front fascia that’s more prominent and aggressive than ever before. 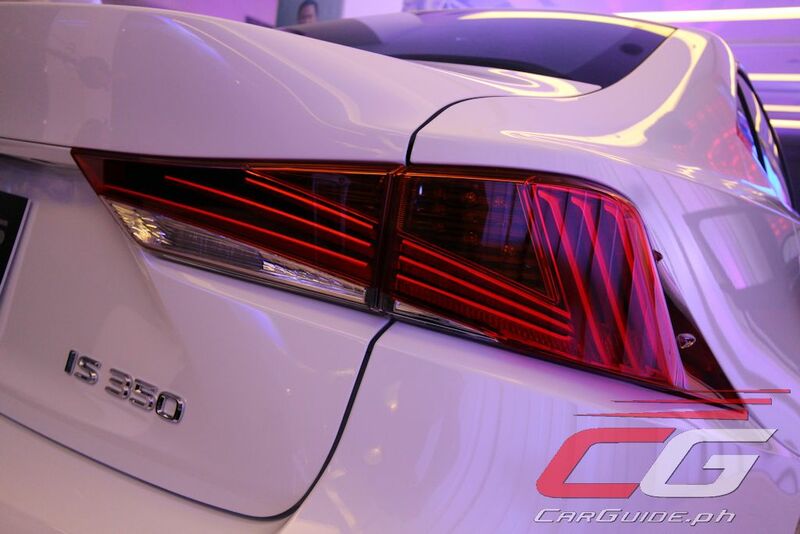 The headlights, bumpers, and grille are all new. 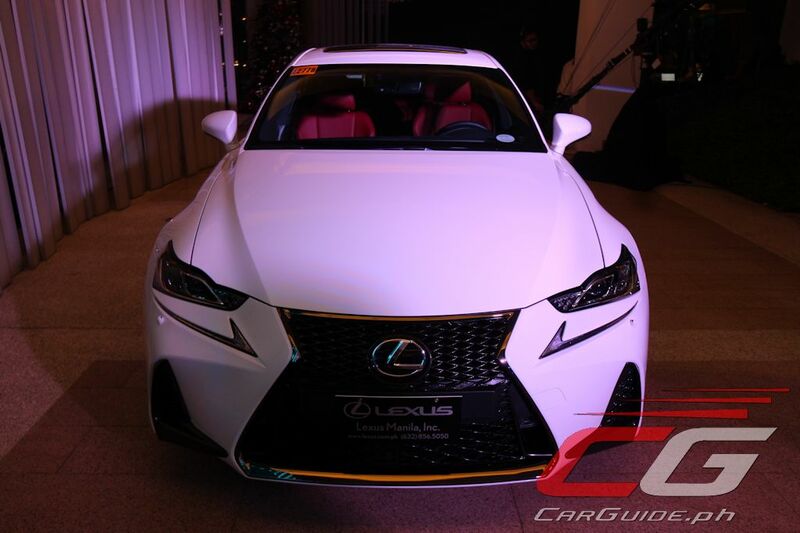 The headlights are now more pronounced, extending forward, punctuated by the bigger spindle grille that’s punctuated by the L-shaped daytime running lights. 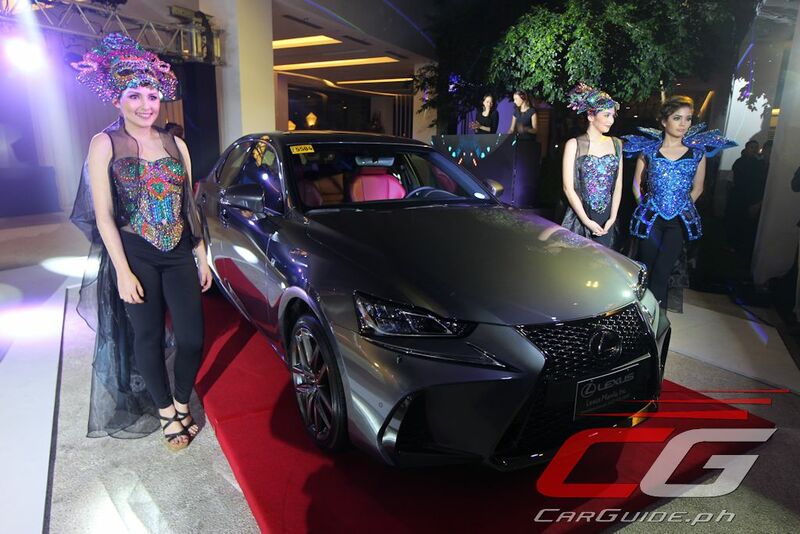 As always, the sportier F-Sport model adds an exclusive touch thanks to the three-dimensional F-mesh pattern (the regular IS gets horizontal slats) with a jet-black metallic coating. 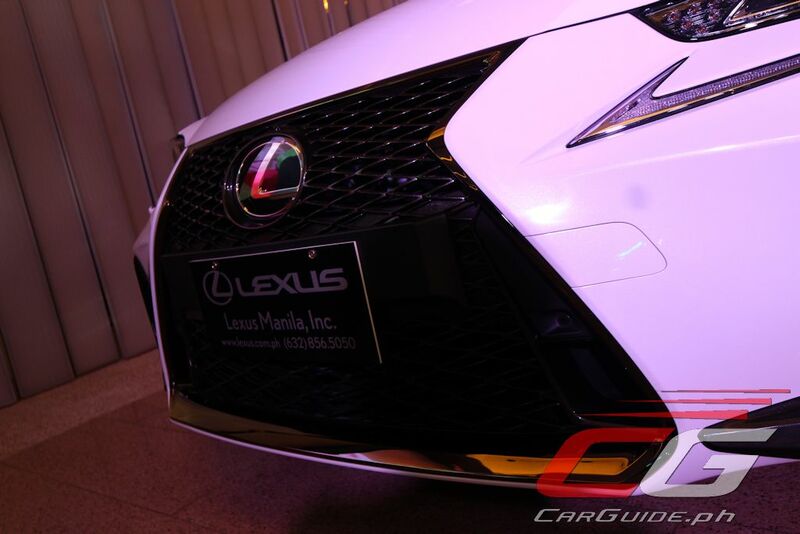 This grille is integrated with functional brake ducts that improve the Lexus IS F-Sport’s aerodynamic performance. 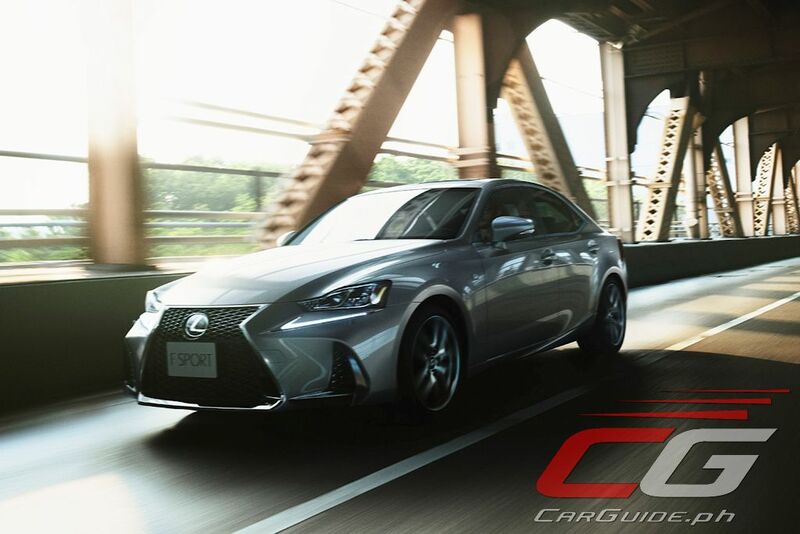 Though the Lexus IS keeps its 17-inch alloy wheel size, new patterns add a feel of constant motion while the triple-layered LED tail lights offer an unmistakable glow at night. 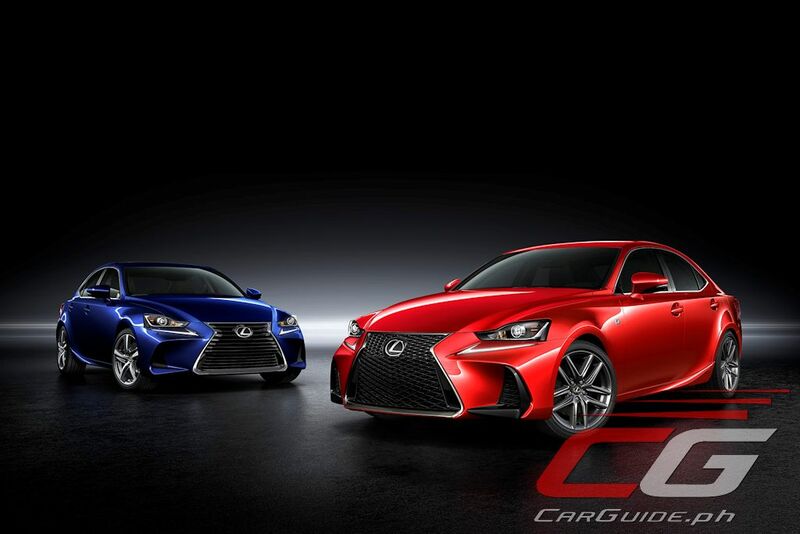 Two new colors have been added to the Lexus IS’s color palette: Deep Blue Mica and Graphite Black Glass Flake. 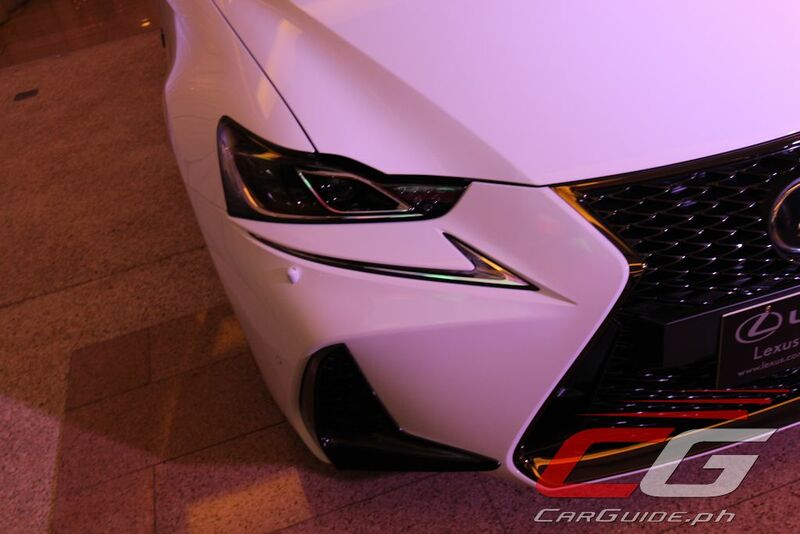 This brings the total number of exterior colors available to 11: Sonic Quartz, White Nova Glass Flake, Heat Blue Contrast Layering, Mercury Gray Mica, Platinum Silver Metallic, Sonic Titanium, Black, Red Mica Crystal Shine, Madder Red, as well as the two colors mentioned earlier. 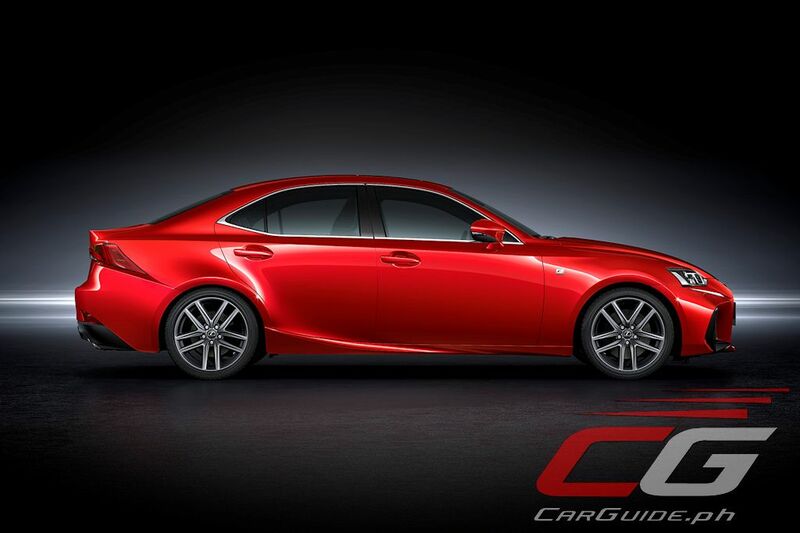 Inside, the Lexus IS sees improvements to its well-equipped cabin. 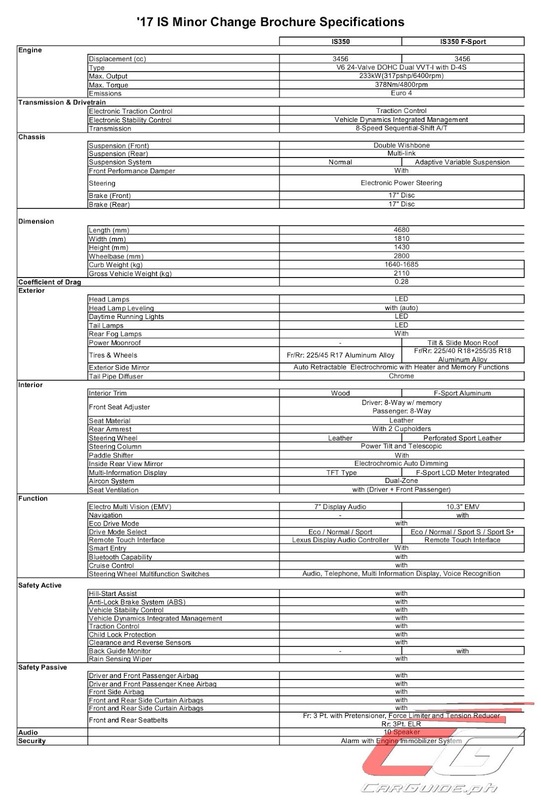 The center-mounted infotainment display is now larger (7 to 10.3 inches) while new stitching on the instrument cluster as well as knee bolsters enhances the sporty mood of the cabin. 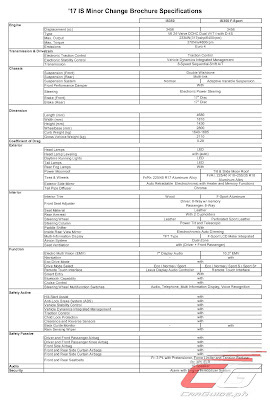 The instrument cluster itself has been changed along with new, larger cup holders, and a bigger leather-wrapped palm rest. 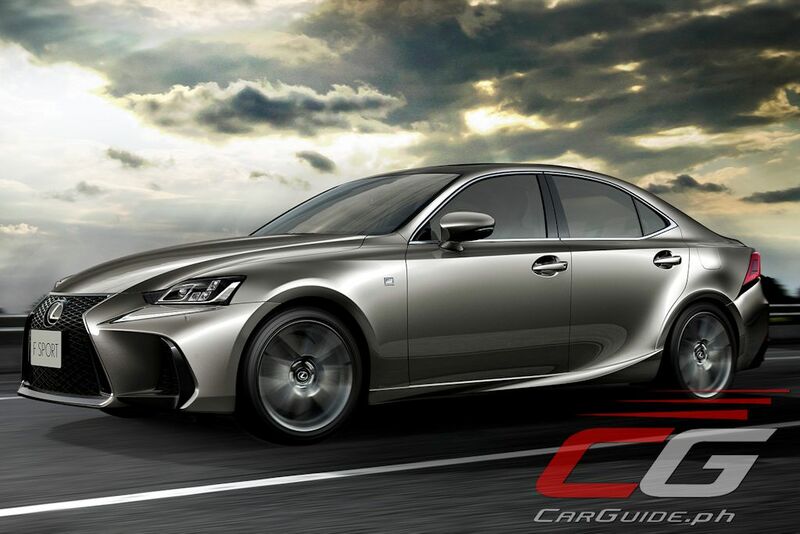 The Remote Touch Interface or RTI has also been added to the Lexus IS providing ease of use to the robust infotainment system. 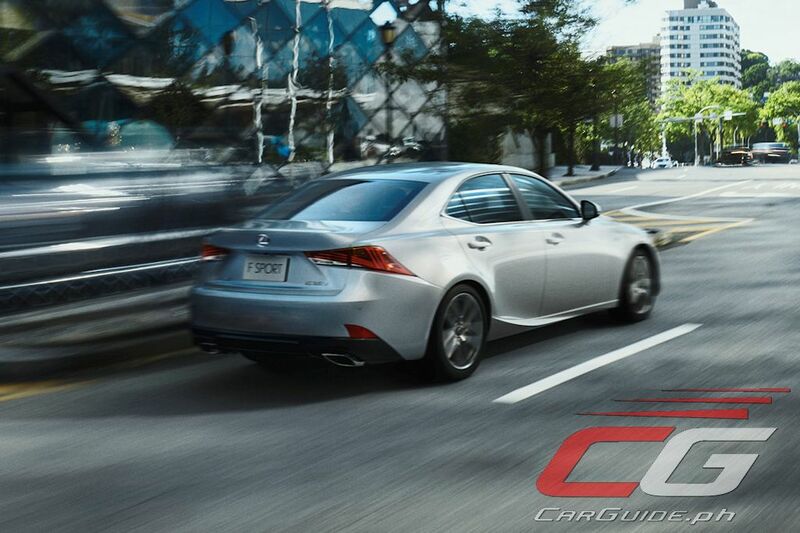 Like its exterior color palette, the 2017 Lexus IS is available in no less than four interior colors. The standard all-black interior is there along with the F-Sport exclusive Dark Rose. The IS meanwhile gets Topaz Brown. A new shade dubbed Chateau has replaced Moonstone and Ivory. This lighter shade melds the elegance of ivory with a contemporary light-gray tincture. Mechanically, both the Lexus IS350 and IS350 F-Sport are powered by the venerable normally-aspirated 3.5-liter V6 engine generating some 317 horsepower at 6,400 rpm and 378 Nm of torque at 4,800 rpm. 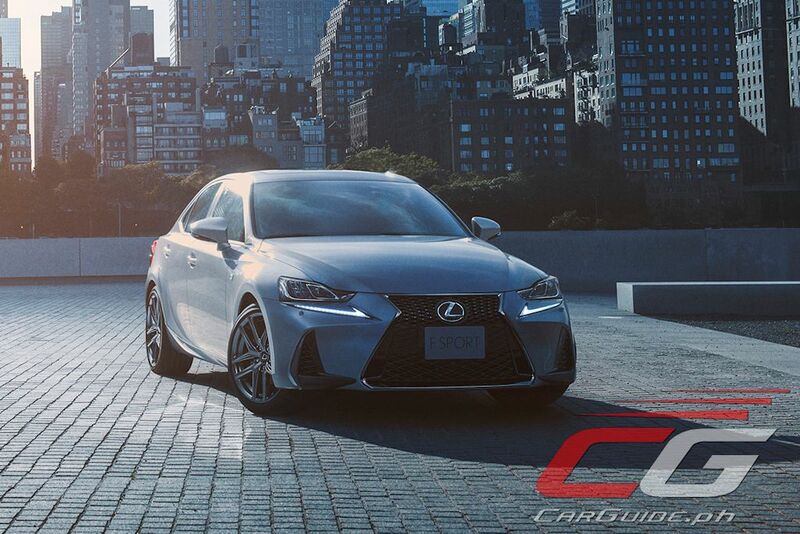 Mated to an 8-speed automatic transmission with sequential shift, this makes the Lexus IS the most powerful premium compact sedan in standard form. 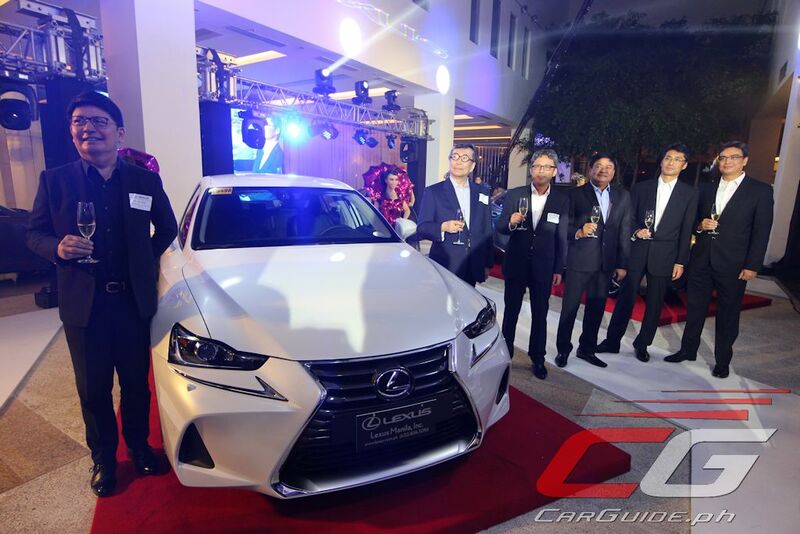 The 2017 Lexus IS is now available at Lexus Manila. 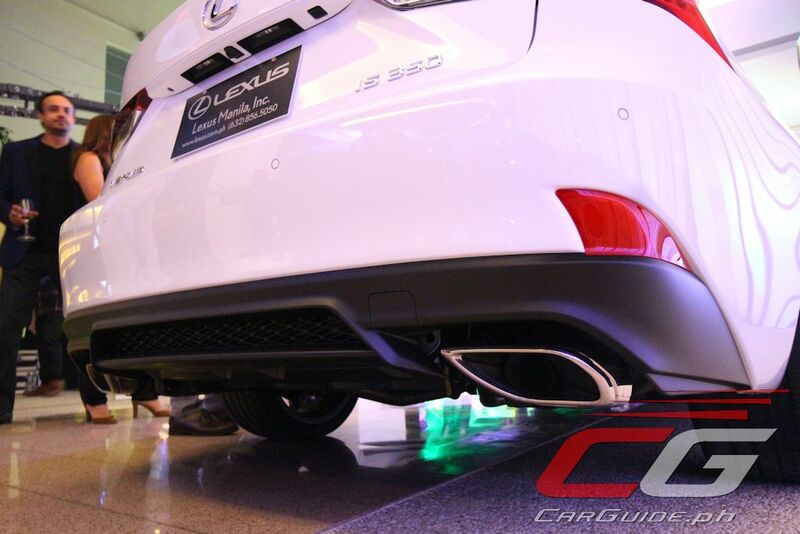 The IS 350 is priced at P 2,668,000 while the IS 350 F-Sport is pegged at P 3,198,000. The front face is ugly. The front face of the previous generation looks better.